Yes now you can watch LIVE webcam using the free software utility offered here. The Software utility can be pinned onto the taskbar for quick access and can be started with a single click. The LIVE Webcam software utility can be used to watch what’s going on in front of your webcam connected to your windows 7 or windows 8 computer. This free software utility will work on Windows Vista as well apart from Windows 8 and Windows 7. This Free Software Utility also allows to copy or capture a single frame using Ctrl+C command when the LIVE Webcam Software Utility has focus. 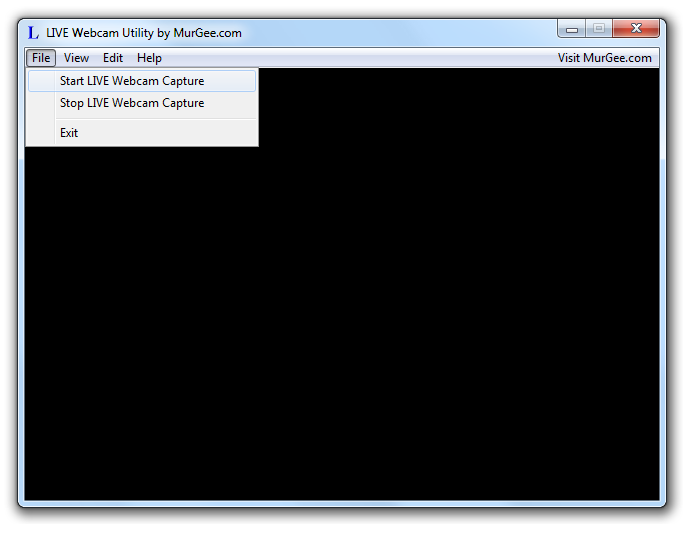 Simple and easy to use menu options provide options to control and configure the webcam connected to your computer. In case you do have multiple webcams connected to your windows computer, then this software utility will select the first one automatically and will start displaying the video from the first webcam.